It is very often that you end up feeling as if managing your personal finances is almost equivalent to a war. And why would you not? Taking care of your personal financial and practicing financial habits that would keep you away from debts almost requires you to wage a war against your wishes and desires. However, you will realize that this war is worth it as your financial situation would become more difficult if you fall into debt. Here are a few personal finance tips that will help you to manage your finances better and avoid falling in debt. 1. Make a budget for yourself – An extremely important activity on your part would be to plan out a budget for yourself. List down the necessary items you need to buy on a weekly basis so that you would know your fixed expenses every week. By a culmination you can find your monthly fixed expenses. Try to keep your fixed expenses within limits so that you can meet with variable month expenses, emergency expenses and also save money. 2. Keep a hold on your credit card usage – Use your credit cards judiciously. Just because you have them doesn’t mean you have to flaunt them at every given chance. The most common cause of falling into debt across the nation has been excessive usage of credit cards. It is advisable that you keep a record of how much you are pending on each credit card so that you don’t go beyond credit limit. 3. Try to shop from alternate venues – This is a very useful method of saving money. When you have the choice of buying from alternate venues such as government auction sites or bankruptcy auctions you should utilize them. You especially get household items at quite a cheap price in these places. You can also buy second hand items from online auction sites such as eBay and Craiglist. 4. Save every month – This is very important for you to do keeping in mind the future. You never know what problem you might face in future for which you would need a substantial amount of money. At that point of time you can use the money that you have saved. Also, this saved money will come of use after retirement and the earlier you start planning for your retirement, the smother your retired life would be. 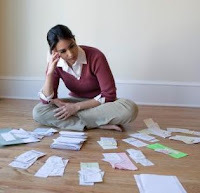 Thereby, in following these personal finance tips you will be able to lead a stress free life with financial freedom.